Health Canada has updated its website, indicating that it has awarded the 44th ACMPR license to Ontario-based First Access Medical, which is owned by Beleave, Inc. (CSE: BE) (OTC: BLEVF). The company’s 14,500 sq. ft. facility in Hamilton is capable of producing 550K grams of dried cannabis per year, and it will be adding a 60K sq. ft. hybrid greenhouse, according to its recent corporate presentation. The approval follows a pre-license inspection more than two months ago. 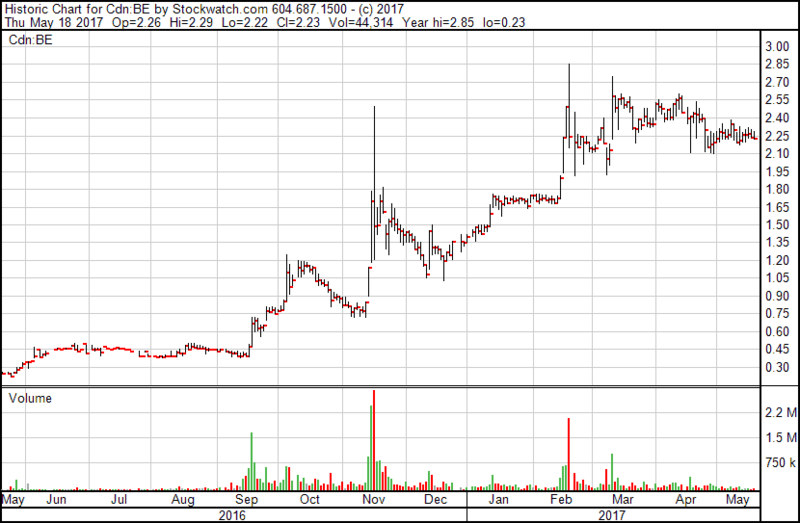 Beleave, which was halted before trading opened today, has increased dramatically over the past year and has a fully-diluted market cap of C$76mm based upon the close of C$2.23 on May 18th.